Our esteemed ISR-affiliated colleague Professor Ben Kedem (Math) is being honored with a symposium. 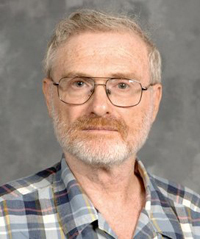 "Advances in Statistics and Applied Probability: Unified Approaches, A Symposium in Honor of Benjamin N. Kedem" will be held July 30–31 in the Mathematics Department here at the University of Maryland. ISR Director Eyad Abed notes, "It is wonderful that Professor Kedem's students and colleagues have arranged to celebrate his career by organizing this special event. The lectures will emphasize cross-disciplinary approached to problems in time series, data analysis, applied probability and statistics; areas that Ben has made major contributions to throughout his career." The symposium web site is being updated with new information as the details come together. Please mark your calendars for what promises to be a very informative meeting and a special celebration of ISR's dear friend and colleague.